Most fitness experts recommend regular stretching for walkers, to keep muscles loose and limber, ease muscle soreness, and prevent injury. Stretching is the key to maintaining your flexibility. You should stretch after every walk. One of the most enduring myths in exercise is that you should stretch before exercise. In fact, this is the worst time to stretch because that’s when your muscles are at their coldest and tightest. 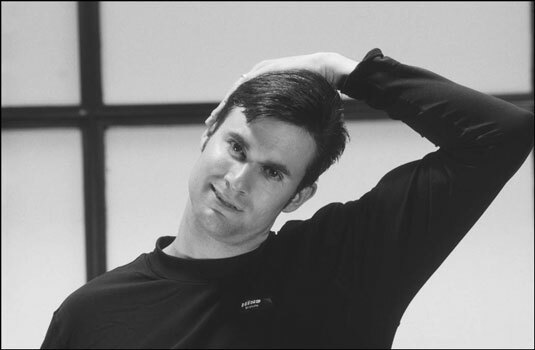 Neck stretch: With your shoulders down and relaxed, drop your left ear toward your left shoulder. Hold for 10 slow counts and then repeat to the right. You may place your left hand on your right ear to gently assist the stretch. 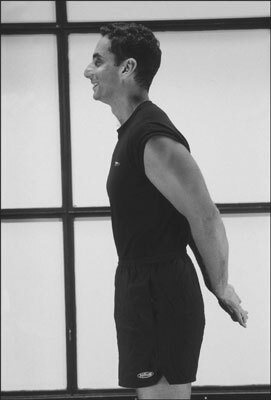 Chest expansion: In a tall sitting or standing position, reach your arms behind you and clasp your hands together. Lift your chest up even higher, raise your arms up slightly, and hold for 10 slow counts. Repeat 2 to 3 times. Hamstring stretch: Stand tall with your left foot a few inches in front of your right foot and your left toe lifted. Pull your abdominals gently inward, lean forward from your hips, and rest both palms on top of your right thigh for balance and support. Keep your shoulders down and relaxed; don’t round your lower back. Hold this position for 10 slow counts. Repeat the stretch with your right leg forward. Quad stretch: Stand tall with your feet hip-width apart. Hold on to a chair or the wall if you need support. Bend your left leg so that your heel moves toward your buttocks and grasp your foot in your right hand. Hold for 10 slow counts and then stretch your right leg. Calf stretch: Stand tall and face a wall about 2 feet away. Straddle your legs so that your right leg is forward and slightly bent and your left leg is behind and as straight as possible. Pull your abdominals gently inward and don’t round your lower back. With straight arms, press your palms into the wall and lean forward. Hold for 10 slow counts and then repeat the stretch on the other side to stretch your right calf. Cat-cow: Kneel on your hands and knees so that your knees are directly under your hips and your hands are directly under your shoulders. Pull your abdominals inward and gently round your back upward. Hold for 5 slow counts and then gently arch your back downward and hold for 5 slow counts. Repeat 1 to 3 times. Sun salutation: Kneel on the floor and bring your left leg forward so that your knee is bent, your left foot is flat on the floor, and your left thigh is parallel to the floor. Place your hands on top of your left thigh for balance. Pull your abdominals gently inward and keep your shoulders down and back. Stretch upward as you lean slightly forward. Hold for 10 seconds. Repeat with the right leg forward. Butterfly: Sit up tall with the soles of your feet pressed together and your knees dropped to the sides as far as they will comfortably go. Pull your abdominals gently inward and lean forward from your hips. Grasp your feet with your hands and carefully pull yourself slightly farther forward. Hold for 10 slow counts. Repeat 2 to 3 times. Pretzel: Lie on your back with your left knee bent, your left foot flat on the floor, and your right ankle resting across the top of your left thigh. With your legs in this position, lift them up so that your left thigh is perpendicular to the floor. Clasp your hands around your left thigh and gently pull it back toward you. Hold for 10 slow counts. Repeat the stretch with your right knee bent. Knee hug: Lie on your back with your knees bent in toward your chest. Hold your hands underneath your thighs and pull your thighs even closer to your chest. Hold for 10 slow counts. Repeat 2 to 3 times.